This Noodler’s ink is part of the V-Mail series, which I understand to be a recreation of a number of vintage inks. 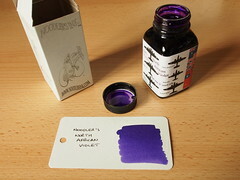 I like blue inks that lean towards violet, but this was the first ink I bought which described itself as such. There is some inconsistency though in the use of the term “violet” – which is often used interchangeably with “purple”. 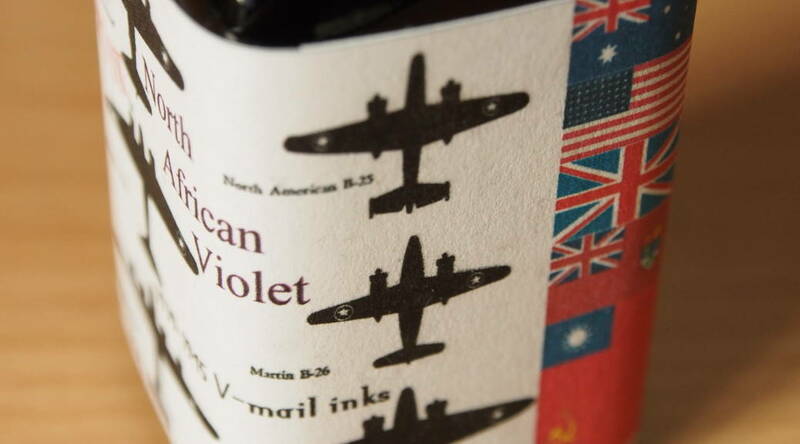 I refer to the Wikipedia entry , which puts violet between purple and blue, but this ink leans more to blue even than the Wikipedia example of colour-wheel violet.